I dont have many apps on my phone but when i heard about the new sampleyes app i had to download and get involved. When i was younger i was obsessed with freebie and sample websites so having a handy app that collates them for you is right up my street. Love samples and freebies? This is the app for you! 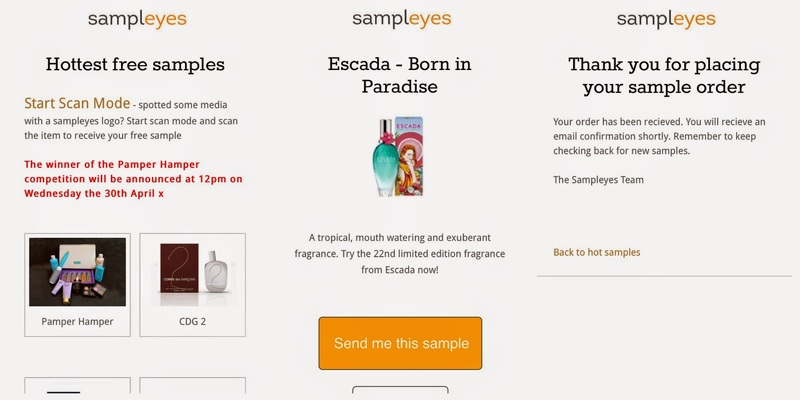 Sampleyes is a brand new and absolutely free app that takes seconds to download and sign up to, all you need is to fill in your name, email and address once, and in turn offers you free samples from some of the biggest brands including Gucci and Hugo Boss. I have pretty much exhausted every free sample on the app as its that quick and easy and have perfume samples en route to me! Its as easy as registering your details only once, clicking the sample you like the look of, clicking 'send me this sample' and you then receive a email saying thank you for placing your sample order. Pretty cool idea if you ask me? Is this an App you would use? Are you going to give it a try? A couple of weekends ago me and my best friend Carla had a day of disney and baking. One of the things we made and so Easter appropriate were Creme Egg Brownies. We have discussed making these for as long as i can pretty much remember, so it was fun to finally have a go! It literally couldn't be any easier if it tried! First you melt the butter and chocolate together in a bowl on a hob over boiling water.In a separate bowl, break 3 eggs and whisk in the caster sugar until they look creamy. Pour in the cool melted chocolate and fold together. Sift in both the flour and the cocoa powder and again fold in. Place into a lined baking tray, we used butter but you can line with grease proof paper, then pour in the mixture. Place the mixture in the over minus the creme eggs for 20 minutes, take out and then place half a creme egg evenly in the baking tray. Bake for a further 5 minutes. Leave to cool before cutting and removing from the tin but take care as they are quite fiddly. We kept the creme eggs in the fridge so they were quite hard and probably didn't push them into the mixture as much as we should have, but we weren't expecting them to be perfect first time around. They tasted pretty amazing if i do say so myself, but you cant go far wrong when creme eggs are involved. I must admit they went down extremely well with my younger brother who demanded that we make them again. Have you made creme egg brownies this year? or last? How did they turn out? To say we are only 4 months (just!) 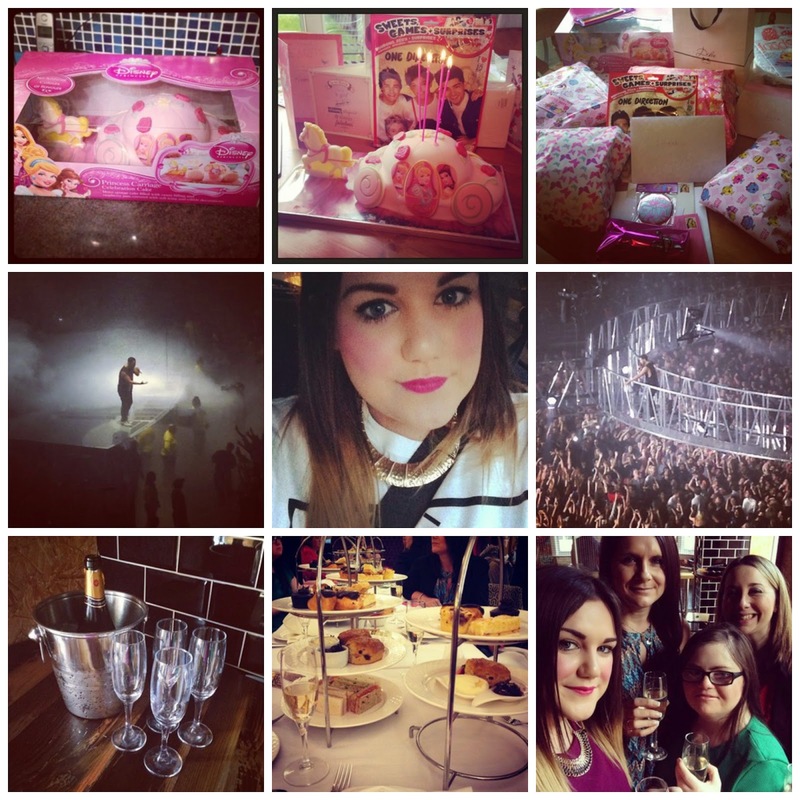 into the year, March was one busy month for me! It usually is what with it being my birthday, my mums birthday and mothers day and i got up to quite a bit over the month so i wanted to share with you. 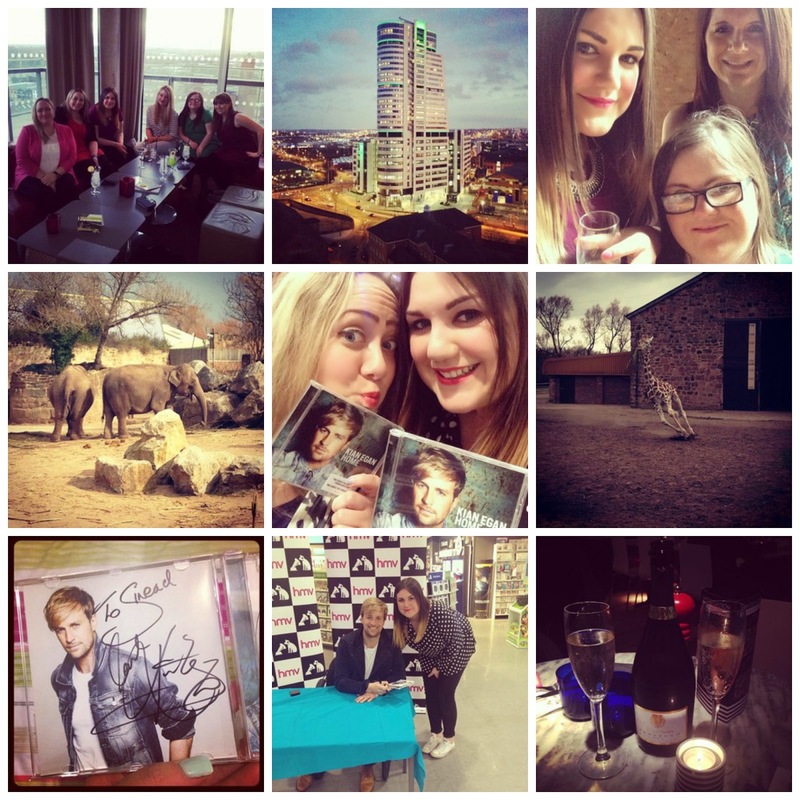 I visited Chester Zoo (which is one of my favourite places) on a school trip and met the absolute love of my life, Kian Egan from westlife. I have been pretty much obsessed with him and westlife for well over 15 years now. To meet him was just amazing! He was signing copies of his new album in HMV in Leeds and i am not over exaggerating when i say it was literally one of the best experiences of my life, i even asked him for a hug! I celebrated my mums birthday and took her out for pizza and prosecco. I also saw Jason Derulo for like the third time at the 02 academy in Leeds, supported my Conor Maynard. He literally just gets better every single time i see him. I also saw Tinie Tempah a couple of days later over in Manchester. Sunday was mothers day and the whole family went for a wonderful meal at an Italian restaurant in Wetherby. My Uncle has been travelling Australia and New Zealand for 14 months and came home just to surprise my Grandma for Mothers Day, so had no idea at all and the look on her face when he walked in was priceless! 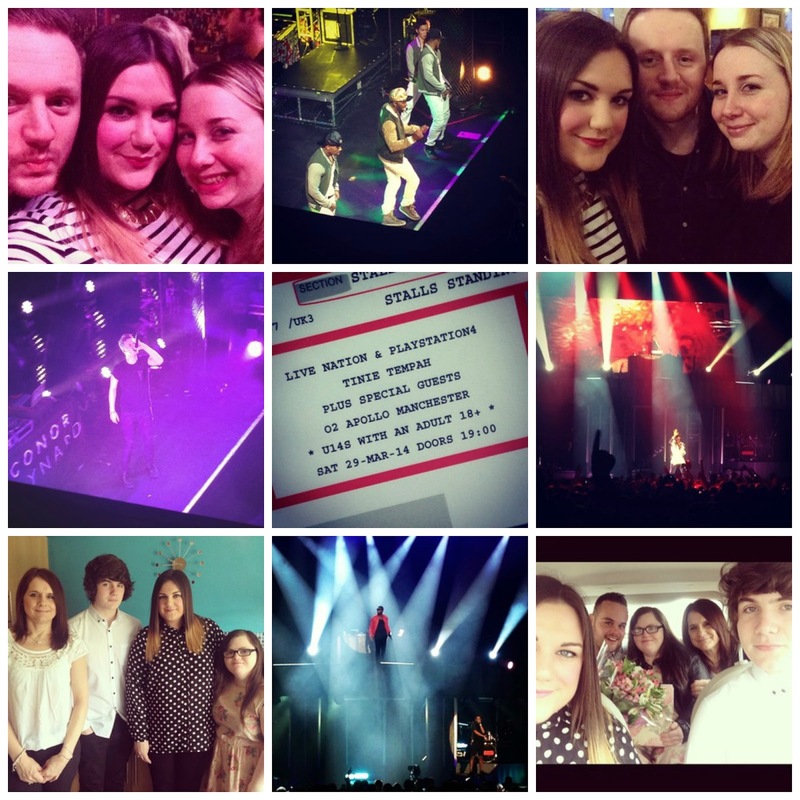 Writing this post has made me realise how amazing March actually was and i'm quite sad that its over! I'm lucky to have so many amazing friends and family and creating so many wonderful memories. I dont think April is going to be as eventful, but we shall see! Happy Saturday everyone and thanks for reading!